The Greater Houston Partnership has declared the end of the oil bust. 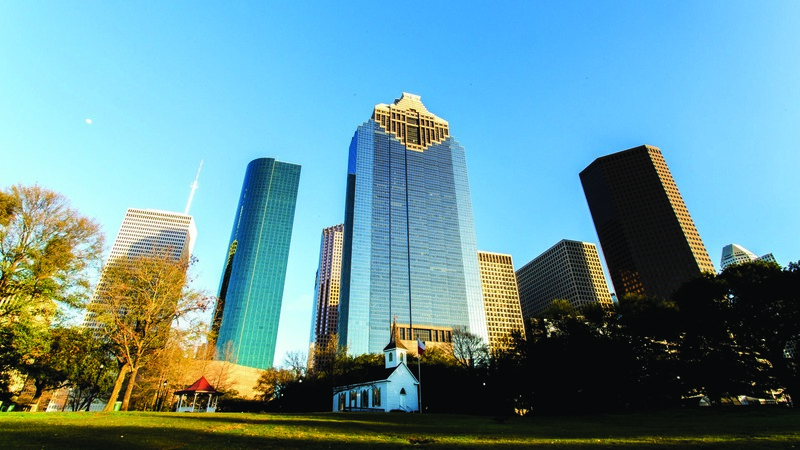 The majority of Houston’s largest energy companies reported profits in the second quarter as U.S. crude oil prices topped $70 a barrel, the organization reported, and bankruptcies within the industry have slowed considerably since their 2016 peak. Capital spending on exploration this year is expected to reach the highest level since the start of the recovery. All that, the organization says, spells the end of Houston’s fifth energy downturn in the past 40 years and precipitates faster job creation throughout the local economy. Already, companies are hiring at the fastest rate in almost five years. The bust began in 2014 and accelerated in 2015 as crude oil prices sank to their lowest levels in years. In the second quarter of 2016, with U.S. oil prices hovering near $40 a barrel, only five of Houston’s 25 largest energy companies reported a profit. Two years later, 20 of those 25 companies posted profits during the same period after paying down debt accrued during the downturn. The Greater Houston Partnership noted that hiring in exploration and production picked up earlier this year for the first time since the start of the recovery, growing just over 1 percent after shedding more than 22,000 jobs during the bust. Still, it noted, energy company stock prices haven’t fully recovered amid investor concerns about climate change and long-term oil demand. A third of Houston’s top 25 companies recently traded at prices between 80 and 95 percent of their peak prior to the bust, while the remainder are trading at prices well below those levels. But the improvements are expected to continue amid a surge in U.S. energy production and exports, further benefiting the Houston economy at large. For the 12 months ending in June, the Houston metro area created 94,600 jobs, a 3.1 percent increase from the prior year period.